Biting The Hand That Feeds You: Cinderella is Coming to Seattle's Paramount Theatre! Cinderella is Coming to Seattle's Paramount Theatre! When I was in grade school, our district had a Summer theatre program that would rehearse for the last half of the Summer and beginning of the next September to perform a musical every year. We had to audition and everything... I was a good extra year after year! Lol! One of the last ones I was in was Rodgers + Hammerstein's Cinderella. You can even see me in it on YouTube! I have a line at 5:50 as a villager, and you can see me again as a lady at the ball at 43:25 (in the blue dress, 3rd person in line on the left, double pointy hat.) Clearly I'm the star of the show! So imagine my delight when I heard that Cinderella was coming to the Paramount! For my local friends, it's not too late to grab tickets! For everyone else, Seattle is just the third of many stops on their US tour, so be sure check the schedule to find a performance near you! Even though it was over 20 years ago (gasp! When did THAT happen?!) hearing the music again, it all comes back to me! It will be difficult to sit quietly in the theatre without singing along! RODGERS + HAMMERSTEIN'S CINDERELLA, the 2013 Tony® Award-winning Broadway musical from the creators of South Pacific and The Sound of Music, will play The Paramount Theatre in Seattle for a limited engagement from February 24 – March 1, 2015. Tickets are available on-line at stgpresents.org and tickets.com, by calling 877-STG-4TIX (784-4849) or in person at select Ticketmaster locations and at The Paramount Theatre Box Office (Monday through Friday, 10am to 6pm). *For tickets to the ASL- Open Caption performances, call the TTY line at 888-331-6774. Tickets for CINDERELLA start at $25 and are available on-line at stgpresents.org and tickets.com, by calling 877-STG-4TIX (784-4849) or in person at select Ticketmaster locations and at The Paramount Theatre Box Office (Monday through Friday, 10am to 6pm). 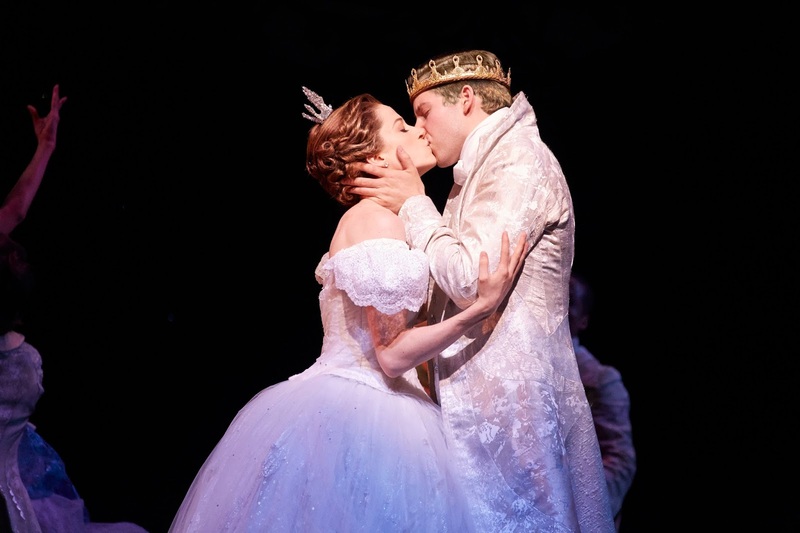 CINDERELLA is part of the 2014/2015 KeyBank Broadway at The Paramount series, presented by Seattle Theatre Group, with support for the fifth year from KeyBank as the series title sponsor. Brotherton Cadillac is the official auto sponsor, The Roosevelt Hotel is the official sponsor hotel and Alaska Airlines is the official sponsor airline of KeyBank Broadway at The Paramount.